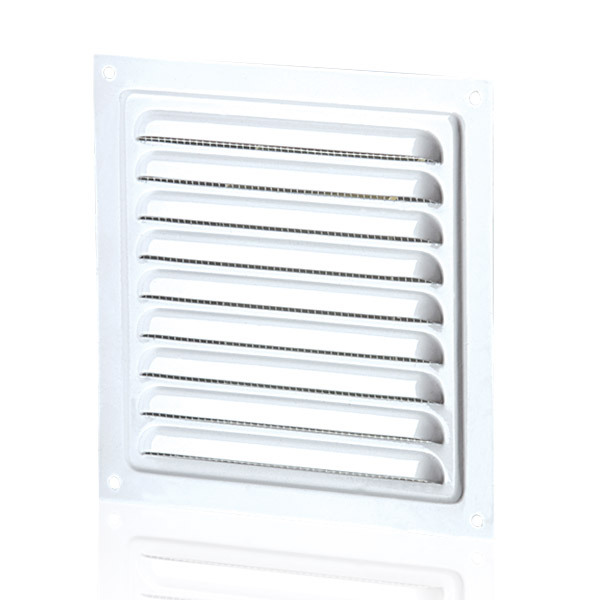 Metal vent 150mm x 150mm with no connecting flange at the back. Simple screw fixing vent with specially treated Zinc Phosphate corrosion protection to ensure longevity in outdoor areas. 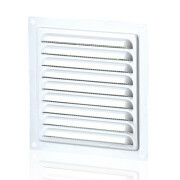 The vent also includes a protective insect screen. Installation - All electrical goods must be installed by a licensed electrician unless they are DIY products (e.g. with lead and plug). Prices - All prices are in AU$ and inclusive of GST. Delivery Method - While we do not have a showroom, all products are listed in detail on our website. If you have any further questions, please contact us. Our warehouse is not currently set-up to accommodate pick-ups, we do however dispatch promptly with reliable post and courier services Australia wide. If you need urgent delivery, please contact us prior to purchasing to get an estimate delivery time and delivery options. Delivery Cost - Most orders over $300 will qualify for free delivery, however some rural and remote areas may not be included. To check if your postcode qualifies, simply add the item(s) to the Cart where you can input your State and Postcode to calculate shipping. For further and more detailed shipping information, click here.